Vincent Willem van Gogh was born on the 30th of March 1853 in Zundert and died in Auvers-sur-Oise on the 29th of July 1890. 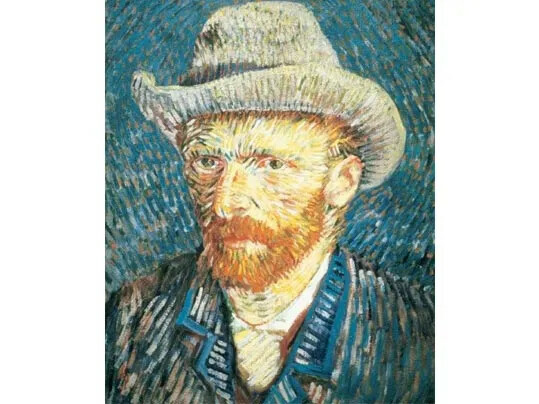 Today Vincent van Gogh is one of the world’s most famous artists. He received little recognition during his lifetime though. He sold very few works and was supported financially by his brother Theo. After his death the recognition for his work grew and until today his paintings offer inspiration to many people. 2015 was the year of Van Gogh. This has inspired our designers to do something with the work of Van Gogh. 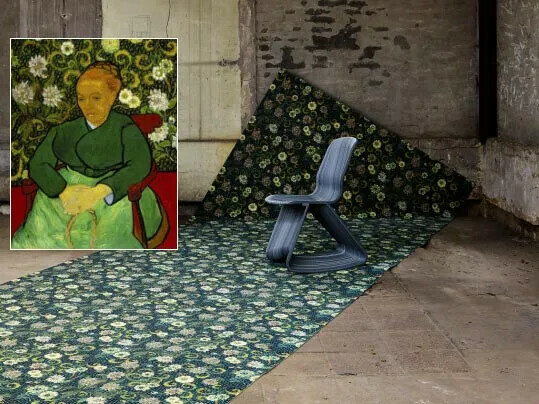 In collaboration with the Kröller-Müller Museum and the Van Gogh Museum, we created 5 floor designs with our Flotex digital print technique. 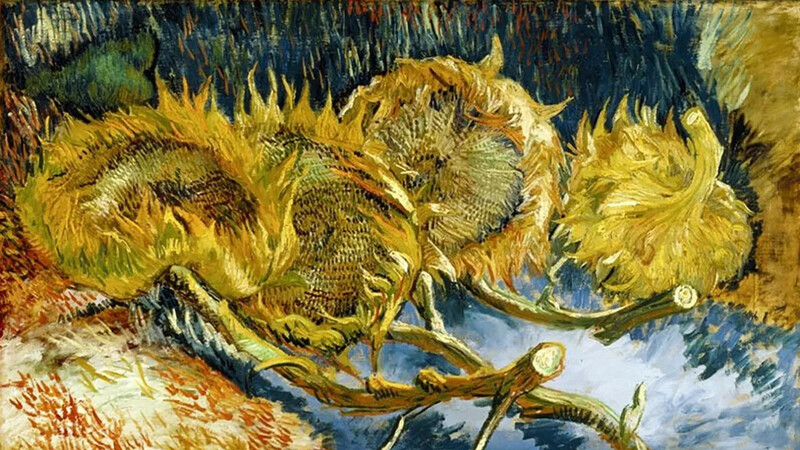 The base of the designs are elements from famous paintings from Van Gogh. Paintings that are certainly worthwhile to visit in the above mentioned museums. 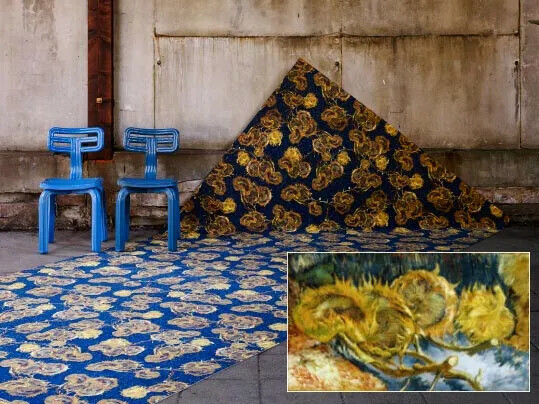 We hope that the floor designs will inspire you with their interpretation of the Van Gogh paintings. Are you inspired by other artists of do you have your own designs? For project use they can be, under certain conditions, also printed on Flotex. Contact you local customer service department for more information. 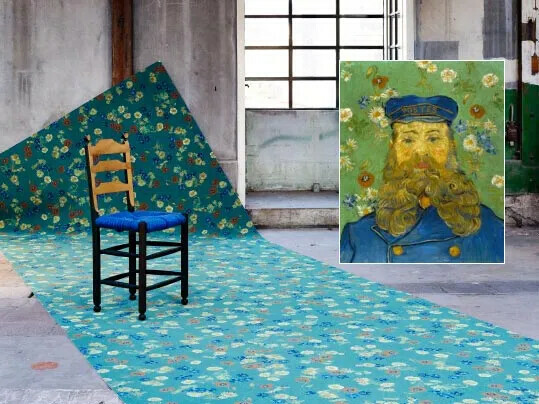 The Van Gogh designs are available from 6m2. Curious what else Flotex has to offer? Check out our other Flotex flooring ranges. 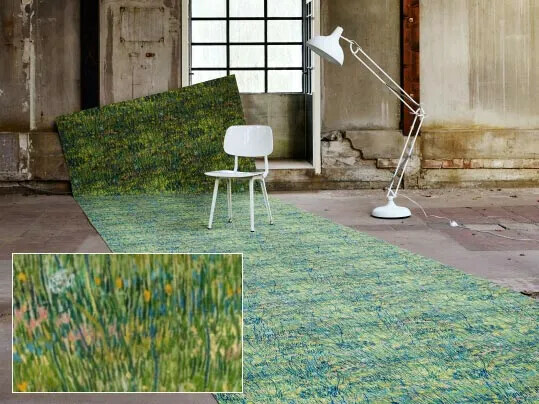 Our designers have created 5 carpet designs inspired by famous Van Gogh paintings. 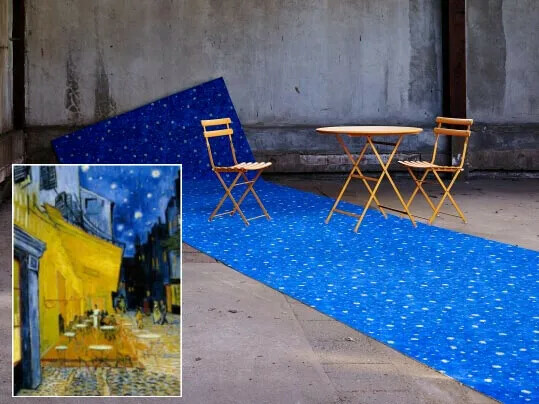 A tribute to Van Gogh, made possible by the unique characteristics of Flotex. Thanks to the high density of the fibres, Flotex is ideal to print digitally and this allows for picturesque floors. Flotex is strong and durable, so despite intensive use the prints will remain beautiful over time. Below you can read more about the 5 floor designs. This is a special still live flower composition. Van Gogh does not paint fresh flowers in a vase or pot, no bouquet of various flowers, no entourage and no background; only a few cut, faded sunflowers. The flowers are painted life-size and fill the whole canvas. In this painting Van Gogh achieved what he was aiming for: warm and cool colours in contrasting tones. The combination with the swirling brushstrokes that go all directions and the undefinable space where the sunflowers are located, make this painting a highlight from his Paris period. Most pronounced in this painting is the powerful contrast between the warm yellow, green and orange and the deep blue of the sky. Van Gogh: "I believe that the abundant gaslight, which is after all yellow and orange, makes the blue come out stronger". Our Flotex floor design is inspired by the stars in the painting. Joseph Roulin works as a postal worker at the train station of Arles. Van Gogh often comes there to send paintings to his brother Theo in The Netherlands and they become intimate friends. In a letter to Theo he characterizes Joseph as "a man who is not bitter, not sad, not perfect, not happy and not always honest. But such a good man, so wise, sensitive and faithful." Between Augustus 1888 and April 1889 Van Gogh paints 6 portraits of Joseph, of which 3 with flowers in the background. On this colourful painting he chooses summer flowers. The poppies, cornflowers, daisies and roses are painted quite precisely, in contrast with Josephs face and full beard with styled curls. Van Gogh painted Augustine Roulin, wife of Joseph Roulin, in bold, exaggerated colours against a vivid background. "La Berceuse" means both “lullaby” and "woman that rocks the cradle", indicated by the rope held in the sitter’s hand, which is attached to the unseen cradle. Van Gogh had a special meaning with this portrait. Augustine stands symbol for motherhood. The title and colours are like the musical notes in a lullaby, creating a feeling of comfort and warmth. In Paris Van Gogh sees the work of the impressionists for the first time. He realizes that his colour palette is dark and old fashioned and starts experimenting with lighter colours and new techniques. This is visible in his painting 'Patch of grass', where he paints the grass with much detail and refinement in a light and colourful palette. X-ray analyses show that before he painted 'Patch of grass', he had already used the canvas to paint a woman head with a cap. This shows how fast he develops himself as a painter.